The perfect home for anyone looking to downsize. This home has amazing curb appeal sitting above street level w/a full welcoming front porch & side loading garage w/plenty of room for guests to park & to make easy turns into & out of the garage. 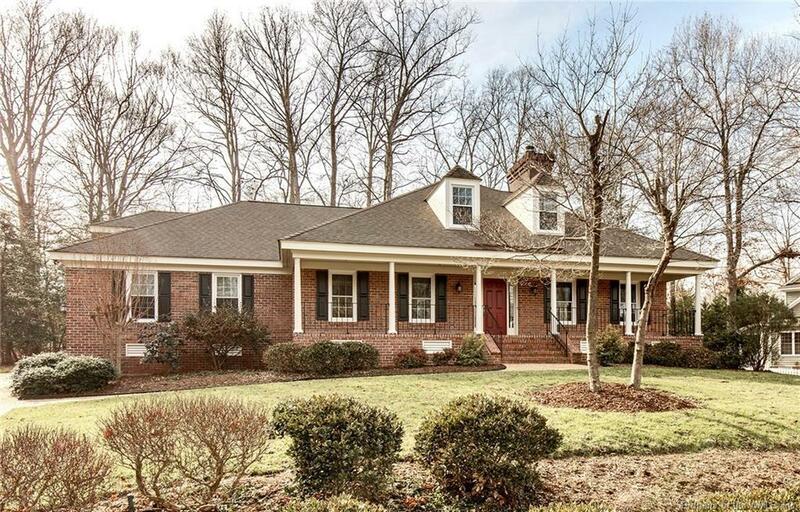 This home is positioned beautifully on just over a 1/2 acre to provide privacy w/a wooded natural setting in the back & not too much lawn in the front making this all brick home wonderfully low maintenance. The interior offers great 1 level living, 2 bedroom & 2 full baths on the main floor. The great room has soaring ceilings w/a skylight & 2 dormer windows bringing in tons of sunlight. The screened porch has vinyl windows allowing it to be more of a 3 season room to enjoy. The bonus room make a perfect hobby room, game room, or bedroom for guests. Plenty of storage w/2 walk-in attics. The owner has meticulously maintained this home & has replaced almost all of the windows, the furnace & most of the appliances. All of this & it is conveniently located close to 2 of the main gates & Westbury Park.